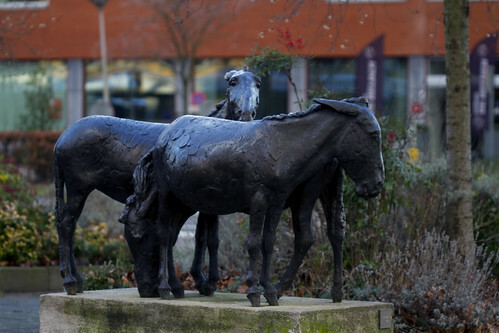 Statue of three donkeys, made by Floyd T. DeWitt. The satue brings back the time that fresh milk was brought to the city on donkeys by farmers. De ezels van kunstenaar Floyd DeWitt in de Jan van Galenstraat, Utrecht..